In Mas Petit you will find different spaces and services to enjoy unique and unrepeatable stay. 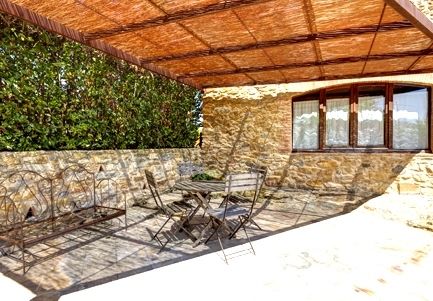 The porch in the middle of the garden, with the barbecue and a kitchen, the 600 m2 garden with two terraces, the private parking area and services like the equipped loundry at your disposal. In addition, we also have a laundry room equipped with two washing machines, air dryer, iron & table for clothes and clotheslines. You can use it at any time and you’ll find soap and softener. The porch is the main common area in Mas Petit. 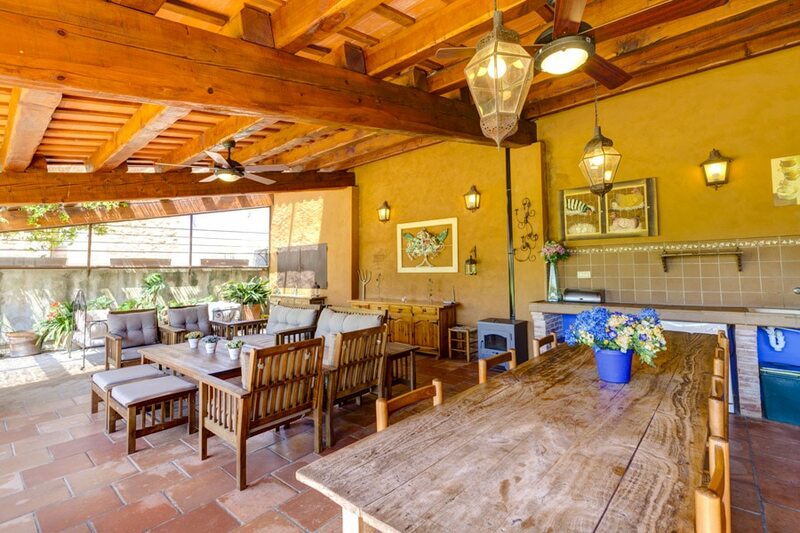 It’s a rustic space of 70m2, with a closed vidrera surrounded by the garden. So nice to relax and have a good time with family and friends. It is a sunny and open space, with sofas, a full barbecue & a big kitchen aside, a large table, ceiling fans and all utensils necessary for its enjoyment. Three double doors and ventilators give good ventilation in summer. During cold autumn and winter you can enjoy the warmth of the wood stoves. You can also use it for work or leisure time for its wi-fi internet. A full breakfast is served on the porch, if chosen as an option. You can not miss the relaxing area in Mas Petit. We offer different spaces to enjoy nature, tranquility and comfort of an excellent environment. Close your eyes and let yourself feel the breeze of Empordanet. 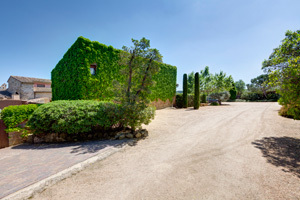 Mas Petit has a large garden of over 600m2, which communicates directly with all the lodgings. You will find two terraces with garden furniture and sun loungers. In a corner of the garden you can have a shower to cool off in the hot summer days, after returning from a trek or a bike tour. Almost all garden plants are native. We have a free private parking in the property, with capacity for +10 cars. This area is hidden from the garden and communicated directly from the main entrance.